How do I tell the difference between Chip and Dale? Are they the same character playing different roles or do they have distinguishing characteristics? All these and many more questions on how to tell between Chip and Dale cannot be answered without a deeper analysis of the two. A clear distinction has to be drawn to list the key traits that set them apart. To start with, it is only important that the two are introduced officially. So, who are these two characters? The answer is a simple one for the staunch fans while an individual who has never had a chance to watch an episode of theirs or has never watched past the intros would never tell. Chip and Dale are made-up characters that come out as both cunning and mischievous chipmunks. They first appeared in our screens in 1943 in a Pluto cartoon film titled Private Pluto. Their names have evolved from Chippendale to Chip ‘n’ Dale, Chip an’ Dale, and now Chip an Dale. Even though in this movie they looked much similar and didn’t have names, they have gradually evolved to overly different characters now. 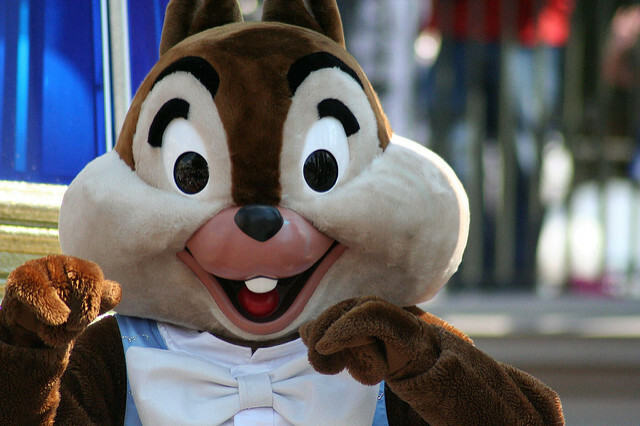 Chip is a Disney character who plays alongside his brother, Dale in the Chip and Dale chipmunk duo movies. In the productions, he is the smartest of the two, has a black nose, and perfect teeth. Dale is also a Disney character and part of the Chip and Dale, the chipmunks’ duo. He is the dumb one with buck teeth, a red nose, and big googly eyes. Chip and Dale also referred to as Chip ‘n’ Dale or Chip an’ Dale is a Disney production that features two chipmunk cartoon characters. It was created in 1943 at the Walt Disney Productions studios by Bill Justice and developed by Jack Hannah. The name was penned from Thomas Chippendale’s second name. For most of the cartoon productions, the two chipmunks join hands, as brothers, and antagonize different characters. Quite often, they play against Mickey Mouse, Pluto, and Donald Duck. Their other nemeses include Pete and Fat Cat. In 1950, they got own series although only three productions were done under their name. The two are cunning chipmunks. They also both love peanut, apples, and acorn and are male characters. Also, they both made their first appearances and debuts in “Private Pluto, a 1943 movie. They looked alike at that time, had no names, and wore no clothes. When it comes to their romantic interests, their love lives almost separate them. Most of the times, they battle for the same girl, Gadget and in fact, they both find it hard to express their feelings to her. 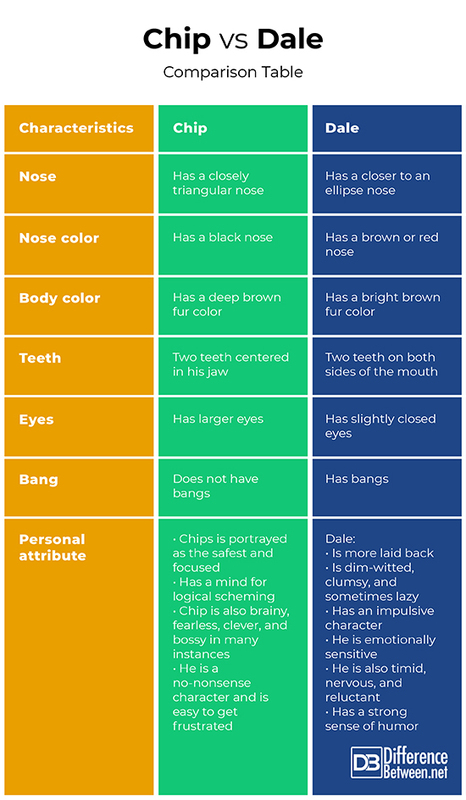 The nose: -When it comes to their physical appearances, Chip has a triangular nose while Dale’s is more of an ellipse. The nose color: – the color of Chip’s nose is black while Dale features a brown or red nose. The front teeth: – Chip has two teeth and the center while Dale has two teeth apart, one on each side of his mouth. The eyes: – Chip was made with larger eyes while Dale has slightly closed ones. Bang: – Chip is created without bangs while Dale was designed with bangs. 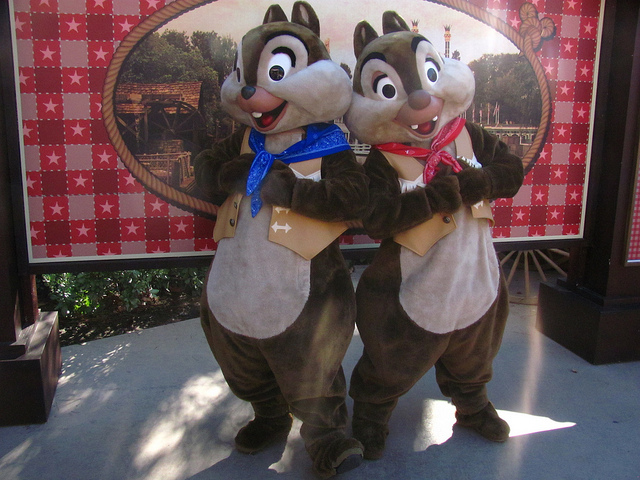 Their body colors: – as for the body color, Chip comes out as a deep brown character while Dale has a bright brown body color. In a Disney’s theme park, Chip appears with a black nose, one tooth, and wide eyes while Dale appears with a red nose, two teeth, and droopy eyelids. In a classic Disney’s short, Chip had smooth hair (or fur) on the top part of his head. Dale, on the other hand, had messed up hair (or fur) on the top part of his head. In their comic book, Chip appears with a dark brown fur color while Dale has a light brown fur color. In the Disney Television production, Chip ‘n’ Dale’s Rescue Rangers, they got clothing added. Chip had a hat and a leather jacket while Dale wore a Hawaiian shirt. Of the chipmunks, Chip is brought out as the safest and focused. He is also portrayed as one who has a mind for logical scheming. Dale, by contrast, is portrayed as the more laid-back one. He is also shown as a dim-witted and impulsive character with a very strong sense of humor. To help their fans tell the difference between their favorite chipmunk duo, Disney recently made it easy to identify the two. They both have their names on their feet. So, when they are spreading their legs, you can tell who Chip is and who Dale is by reading the name on their feet. Sarah Brown. "Difference Between Chip and Dale." DifferenceBetween.net. January 17, 2019 < http://www.differencebetween.net/miscellaneous/entertainment-miscellaneous/difference-between-chip-and-dale/ >. "Can You Tell The Difference Between Chip & Dale?". Oocities.Org, 2018, http://www.oocities.org/pups_pals/ChipnDale.htm. Accessed 7 Dec 2018. "【Tdr0346】The Difference Between Chip ‘N Dale And The Name Origin | The Mystery Of The Tokyo Disney Resort". Tdrjp.Com, 2018, http://tdrjp.com/character/tdr0346.html. Accessed 7 Dec 2018.